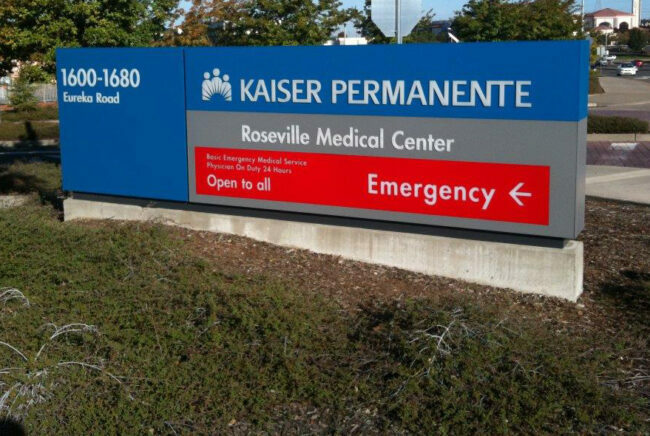 Emeryville – Kaiser Permanente is failing to provide adequate access to mental health care for Sacramento area patients, according to a complaint submitted to California’s Department of Managed Health Care. In the complaint, Kaiser’s mental health clinicians assert that patients seeking diagnostic assessments are told to go to one of two “open-access clinics” where they must wait up to five hours for an hour-long assessment of their conditions, which may include depression, bipolar disorder, anxiety disorders, or schizophrenia. Therapists report that the clinics in Sacramento and Roseville are so severely understaffed that patients hoping to get help often line up on the sidewalk outside the clinics before they open at 8:15 a.m.
More than a half-million Sacramento area residents are enrolled in Kaiser, which insures more state employees and other public-sector workers than any other California health plan. Diagnostic assessments are a critical step for patients seeking mental health treatment. 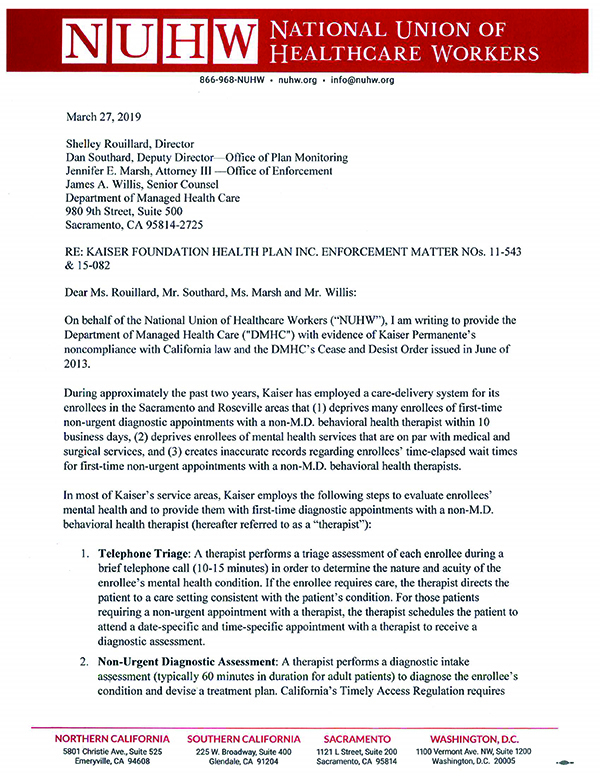 After a patient calls Kaiser seeking mental health care and receives an initial 15-minute telephone assessment, Kaiser must provide a longer face-to-face assessment within 10 business days to diagnose the patient’s condition and devise a treatment plan. Kaiser’s approach in the Sacramento area creates a barrier to care and produces inaccurate patient care data at a time when Kaiser remains under state-ordered outside monitoring for violating California’s mental health parity law. When patients are unable to get the assessment within the state-mandated 10-day time frame, Kaiser falsely blames them for “failure to keep an appointment” even though Kaiser never offered an appointment with a specific time and date. Click the graphic above to read the full complaint.